This first review of Mexico’s energy policies by the International Energy Agency comes at a momentous time for the country’s energy sector. The broad-based Energy Reform, beginning with the Constitutional changes of December 2013, has continued at a steady and impressive pace. Its reach and scope amounts to one of the most ambitious energy system transformations in decades. The IEA applauds the government of Mexico for the progress made to date.Starting from a largely closed and monopoly-driven energy market, the reform has taken concrete steps to harness market forces to attract investments and increase production while ensuring transparency and rule of law, improving energy security and strengthening the environmental sustainability of the energy sector.Some policy areas, such as promoting competition and redesigning emergency preparedness, will have to remain a priority. The transition to open energy markets should continue in a transparent manner, and with regulatory certainty. The new roles and responsibilities for the public and private entities, in particular for energy supply emergencies and energy data collection, should be defined well. It is also critical to ensure sufficient resources for the several new or strengthened regulatory authorities.For the long term, as Mexico’s population, cities and economy are projected to grow strongly, a cross-sectoral approach is required to limit the increase in energy demand and energy-related greenhouse gas emissions. 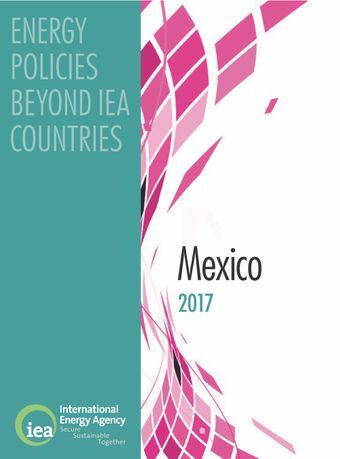 This review analyses the energy policy challenges facing Mexico and provides recommendations for further policy improvements. It is intended to help guide the country towards a more secure, sustainable and affordable energy future.